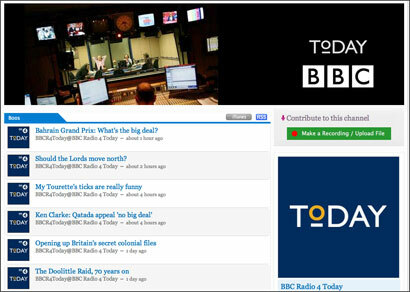 The Financial Times has reported that the BBC has officially partnered with AudioBoo to post sound clips from programmes onto its website. BBC journalists have been using AudioBoo since shortly after its launch in 2009 and the Radio 4 Today programme has providing catch-up audio for some time, getting around 20,000 listens to the 24 “boos” it posts each week, the FT states. According to the article, the deal will “result in a series of branded BBC channels using AudioBoo, which the BBC hopes will broaden its audience reach worldwide”. The decision to back such a small home-grown technology company is also a big step for the BBC, which has until now limited its official media partnerships to larger companies, such as Facebook and Twitter. AudioBoo allows users to record and share up to three minutes of audio using the iPhone app or website. It also offers paid subscriptions for those who want to record and share longer interviews and sounds. 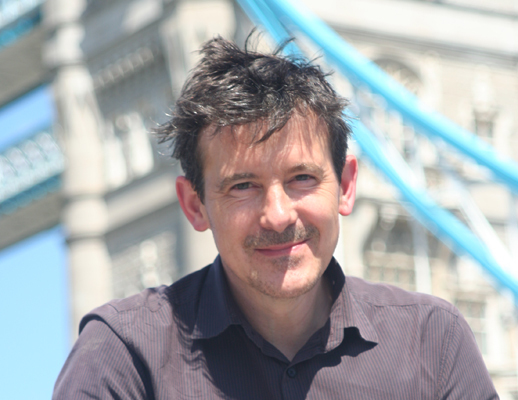 After launching in 2009, London-based AudioBoo gathered a loyal following of journalists and well-known personalities such as Stephen Fry who gave the platform an early boost. AudioBoo founder and CEO Mark Rock told the FT that the BBC deal “took 18 months and 38 meetings to complete, because it was the first time a large media outlet had given official sanction to his business”. 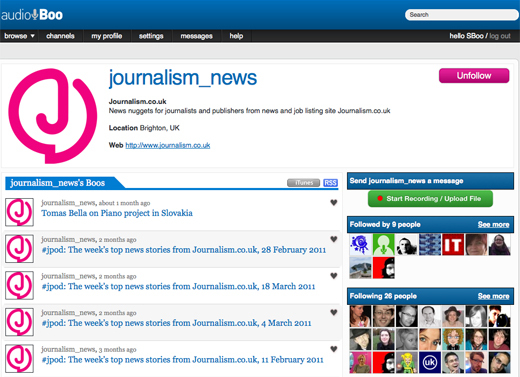 This entry was posted in Handy tools and technology, Online Journalism and tagged Audioboo, BBC, Mark Rock, The Financial Times on April 19, 2012 by Sarah Marshall. If you are reporting on the referendum on the voting system, the Scottish, Welsh and Northern Irish assemblies or from one of the 305 town halls across England and Northern Ireland with local elections, how are you going to present the results? As a text only story which reports how many seats have been lost or gained by each party? Or are you going to try visualising the results? Here are five free and easy to use tools to liven up the results. Many Eyes is a free data visualisation tool. If you have not tried your hand at any data journalism yet, today could be the day to start. You could follow my example by putting ward names across the top, parties down the side and the number of each ward seats won by each party. You will need to include the total in the end column. OpenHeatMap is a way to visualise your results in a map. It is free and very easy to use. You start by creating a spreadsheet, uploading the data and you can then embed the map in your web page. E. Click ‘share’ and you can copy the embed code into your story. Anyone can now join Storify (it used to be by invitation only). It allows you to tell a story using a combination of text, pictures, tweets, audio and video. 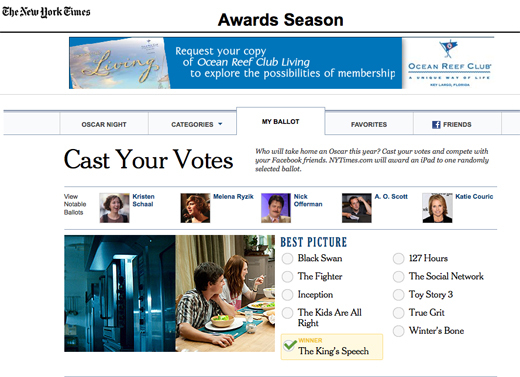 E. Copy and paste the embed code into the story on your site. You can record audio (perhaps the results as they are announced or reaction interviews with councillors) and include it in your story. The easiest way is to download the free smartphone app or you can upload your own audio via the website. E. Paste the embed code into your story. Qik is a free and allows you to live stream video. Why not broadcast the results as they happen? C. The video will be automatically posted live to your Qik profile but you’ll need to add the code to your website before you record (you can also live stream to your Facebook page, Twitter account and YouTube channel). D. To do this go to ‘My Live Channel’ (under your name). Click on it to get your embed code for your live channel. E. Paste your embed code in your website or blog, where you want the live player to be. How did you get on with the five tools? Let us know so that we can see your election stories. This entry was posted in Data, Design and graphics, Handy tools and technology, Journalism, Local media, Multimedia, Online Journalism, Social media and blogging and tagged Audioboo, Data journalism, how to, Many Eyes, Mapping, OpenHeatMap, Qik, storify on May 5, 2011 by Sarah Marshall. Developers in Brooklyn, New York are working on a platform that allows people to upload audio stories and geolocates them on a world map. Broadcastr, which the developers describe as ‘a social media platform for location-based stories’, launched recently in beta. 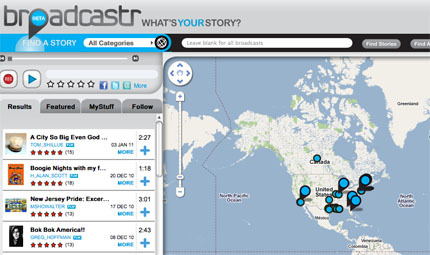 The service is similar to the UK-based audio platform AudioBoo in terms of geolocation, but it is different in that Broadcastr’s site is entirely based on a world map. The beta site already includes eyewitness reports from the Brisbane floods, and the site is working with Human Rights Watch in Egypt to encourage audio uploads. Speaking to Journalism.co.uk, spokesperson Kate Petty said that in cases where a country’s internet is blocked, Broadcastr could set up a voicemail service for witnesses to leave messages via a phone rather than uploading them directly to the website. Petty likened the facility to a similar response from Twitter’s when the internet was blocked during anti-government protests in Egypt. Asked if broadcasters can use the audio reports, she explained that the contributor keeps the copyright but said the site makes it clear to those uploading audio that they are offering it up to an open community. Petty added that it would take at least six months before the full site could be released. Free iPhone and Android apps will also be available. Petty was unable to reveal the cost of creating the startup, but said it is currently funded by developers’ friends and family. This entry was posted in Handy tools and technology, Social media and blogging and tagged Audioboo, broadcastr, social media, social media platform, Technology/Internet on March 8, 2011 by Sarah Marshall. London-based journalist Rosie Niven has some interesting thoughts on her blog about how journalists can make use of the recently launched personal messaging service from Audioboo. The site sent an email to some users yesterday detailing the new service, which Niven says could be a useful tool for journalists, such as the sharing of audio quotes between sources and journalists. The privacy that the personal messaging service offers is likely to increase Audioboo’s use as a way of quickly recording and sharing quotes. Of course, it relies on both parties being tech savvy and Audioboo users. However, as mobile platforms are added, I can see personal messages becoming yet another tool for anyone whose job includes interviewing people. This entry was posted in Editors' pick, Handy tools and technology and tagged Audio, Audioboo, quotes, Rosie Niven, useful tools on November 18, 2010 by Rachel Bartlett. The Guardian’s inventive use of mobile application Audioboo during last week’s G20 news coverage isn’t the end of the paper’s experiments with the audio recording service. According to a tweet from Guardian journalist Matthew Weaver, who was posting sound clips or ‘boos’ frequently during the summit, today’s article on the Tamil protests in London is the first time a recording from Audioboo has been embedded in a news article on the site. This entry was posted in Handy tools and technology, Multimedia and tagged Audio, Audioboo, CEO, G20, guardian, iPhone, journalist, London, Mark Rock, Matthew Weaver, Mobile, The Guardian, Twitter on April 7, 2009 by Laura Oliver.